Bretton Woods is the name of a place and also of a system. 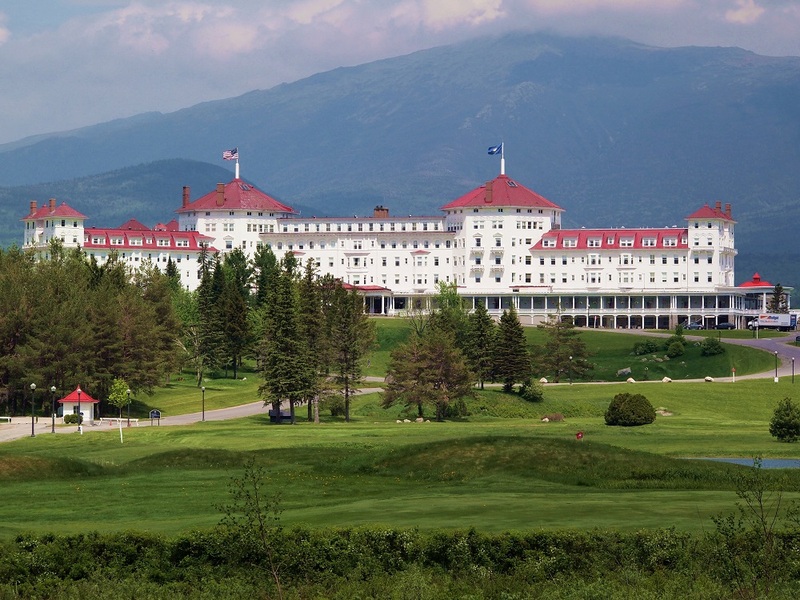 Bretton Woods-the-place boasts the Mount Washington Hotel and majestic views of the White Mountains of New Hampshire. Bretton Woods-the-system is the set of financial rules drafted during an international conference held at the hotel from 1 to 22 July 1944 . The system created monetary order and allowed postwar recovery. For economists, Bretton Woods signifies the system. Its success illustrates how economic thinking can penetrate the political sphere and make lasting change. John Maynard Keynes, the Darwin of economics, led the British delegation. Expiry of associated intellectual property: The claims of Providers also expire and natural information enters public domain . Each step invites elaboration. Some will require the design of rules to break foreseeable impasses . Although the system as a whole may seem daunting, each step is tractable. Patience is required. Nevertheless, impatience is understandable given twenty-five years of failed ABS measures. Satirizing a famous verse from Bob Dylan, the economist will ask: How many measures must be proposed, Before comes a Bretton Woods? Eight years prior to the historic conference in New Hampshire and at the depths of the Great Depression, Keynes wrote that the power of vested interests was “vastly exaggerated” and that economic thinking would prevail . Optimism enables action. Whichever Conference of the Parties ushers in bounded openness will someday find, as with Bretton Woods, that the location of the conference has become synonymous with the system. When that day comes, the place will be a landmark in the natural history of the 21st Century. The international conference was officially titled “United Nations Monetary and Financial Conference”, where “United Nations” did not mean the affiliation now associated with the intergovernmental organization established in 1945. For the purposes of ABS, information must be further classified as either artificial or natural, where the latter means any non-intentional distinction, non-uniformity or difference produced by something alive or once alive. Although Prior Informed Consent will be vacated, new tasks will arise as suggested in second to the tenth steps. Hence, the system as a whole will employ more bureaucrats, which is efficient to the extent that monetary benefits under the GMBSM will have increased, perhaps by as much as four or five orders of magnitude. Economists will recognize the broad outlines of Jevons’ Paradox: efficiency has hugely improved within the bureaucracy but more bureaucrats are required because the scale of the economy has expanded. For trademarks, the method may have to be an alteration of the (TM) and (R) symbols to (NTM) or (NR), where the N signifies the presence of natural information. Each method for an intellectual property right should be designed to minimize the transaction costs of disclosure. To avoid royalty burden from distinct ensembles of natural information utilized in a single product (“stacking”), Providers of each ensemble receive a percentage share weighted by the number of ensembles. Suppose the COP decides that the royalty for patents on a specific combination of characteristics is 15%. Imagine a case where five distinct ensembles of natural information were utilized. Each of the five ensembles would receive 3% which sums to 15% rather than a stacked royalty of 75%. Quid pro quo between artificial and natural information is a goal, but not a mandate. In distinction to artificial information, any new intellectual property right granted on value added to public-domain natural information will not incur a benefit-sharing obligation to that ensemble. For example, conceptualizing the 1950s antihypertensive vasodilator Minoxidil as an ensemble of artificial information, a new patent was granted on that same ensemble in 1971 for prevention of alopecia. The departure from quid pro quo, i.e., unequal treatment for natural information, enhances conservation inasmuch as incentives are not diluted by compensating Providers for ensembles which were long since characterized and in no risk of extirpation. Without measures to reach compromise on royalty percentages, negotiation will not proceed timely. One possible measure would be imposition of a randomly chosen percentage between upper and lower bounds, invoked after a clock runs out, which would be specified in the proposed amendment to the NP. To the extent that both Users and Providers are averse to risk, compromise will emerge. JM Keynes. 1936. The general theory of employment, interest and money. Macmillan, London at page 383. The title of the last chapter foreshadows the robustness of Keynes’ genius: Concluding notes on the social philosophy towards which the general theory might lead. "The Global Multilateral Benefit-Sharing Mechanism: Where Will Be The Bretton Woods Of The 21st Century?" by Intellectual Property Watch is licensed under a Creative Commons Attribution-NonCommercial-ShareAlike 4.0 International License.